Protein intake is essential to keep your body running. High-protein diets are often used for weight loss and body maintenance. It is usually recommended by bodybuilders and nutritionists to help in a task to build muscle and lose fat. High-protein diet as a form of weight loss has actually existed for years, though its popularity just recently grew on the internet as people are looking for a more effective way to lose weight. 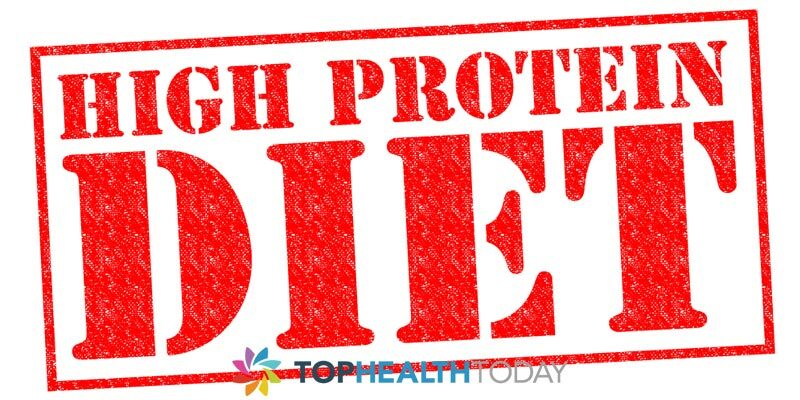 While most people doesn’t see any harm taking up high-protein diet especially when it doesn’t have to be followed for a long term. However, there is an ongoing study to know if there is any health risk of using a high-protein diet with carbohydrate restriction for a long term, that is if they are really safe. Extended time consumption of a high-protein diet may actually be linked with health problems and clinical problems. Although there is little evidence to support that high protein consumption is dangerous for healthy individuals because the research is still ongoing, however, it has been suggested that high-protein diet may be harmful to individuals with existing kidney dysfunction. Protein is a very important part of the diet; it repairs muscle, regulates certain chemical reactions in the body, and most importantly helps the immune system to fight off bugs. Our body needs enough protein each day to build, grow, repair and maintain every part of us. Protein is really essential for us each day for potential growth. However, we need to be careful of how much protein we take and how often we take it. There is a certain amount of protein our body needs and process in one go, which is about 0.8g to 1.2g of protein per kg of body weight per day depending on how active you are. Consumption of excess protein more than your body can process is pointless because at the end the body is only going to make use of the amount it needed and pass out the extra protein it cannot process. Despite the short-term weight loss that may be achieved by their use, evidence suggested that high-protein diet, high-fat, low fiber and low carbohydrate diets long-term use of them may increase the risk of health problems. A high-protein diet with very low carbohydrate can result to a state known as ketosis. Ketosis result when carbohydrate intake or utilization is insufficient to provide glucose and your body is forced to turn amino acids into glucose for the cells that rely on it as an energy source. If your body continues to be in ketosis it can disturb the body’s acid-base balance, causing metabolic acidosis, it can also lead to a medical condition such as heart disease, moodiness, lack of concentration, low blood phosphate levels, and low blood sugar levels. Having too much protein can cause serious kidney problem because excess protein is filtered by kidneys then turn it into nitrogen and then expel it out when we urinate, so having too much protein in your body Increased load on the kidney.